Hello Ladies! Sometimes the simplest outfit filled with closet staples can turn into the chicest casual outfit. All of these pieces live on major repeat in my closet, not just in summer but throughout the year. A fan girl of the all black outfit for any season, I love pairing it with the brown wedges and crossbody bag to create a fun, casual summer outfit. I’m someone who is always cold, so a denim jacket is a must for me in Summer. I tend to get cold indoors when everyone is blasting the A/C. It’s also a fun addition to add a little color to an all black look. You can also tie the jacket around your waist to break up the two black pieces. My denim jacket is from H&M, but the one I linked I own in white and love! If you are looking for a good quality tank top for summer, I love these!! I’ve posted this olive one on the blog before in this post. I also own it in white, and I love that it is not see-through! I own two in black because I wear them so much. These tanks will be great in fall and spring to wear in a layered look under cardigans and jackets. I hope your week is going well! Thanks for stopping by! You can never go wrong with an all black outfit and denim jacket, great summer season look and very classic! A denim jacket is definitely a staple in my summer wardrobe. It goes with everything and is a perfect layering piece! Gal that denim jacket and bag is just so cool. Totally love it. 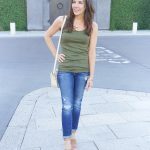 I wore a similar neutral outfit on my blog last week too—I agree that sometimes the simplest things are the best! Simple and classic but oh so stylish. Great look. Don’t forget Thursday is A Labour of Fashion Link up and I would love to see you come share your looks of the week. You are so right about this great outfit! 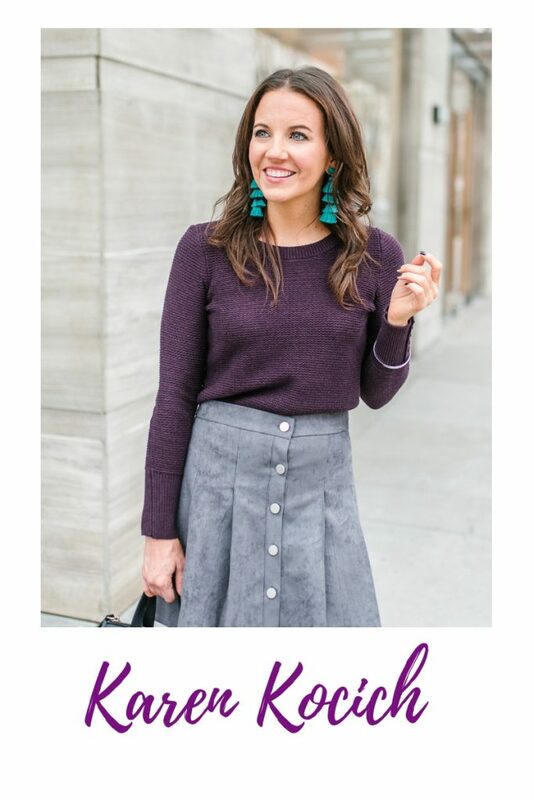 It’s a closet staple but can be mixed up in so many different ways! You look amazing! Also, love your bag…so cute! An all black outfit is a classic. I love black as it’s a beautiful color and a nice base to add to. I live in my denim or utility jacket during Summer because it literally are the best light jackets during this time of year! Starting with an all black or all white base is one of the easiest ways for me to pull myself together on days I’m just not feeling it. I’m kind of thinking you may have just helped me plan my outfit today! Happy Tuesday. Love this simple but chic look! I need to get some of these tanks you recommend. Thanks for the link up!